Tulsi (a.k.a. 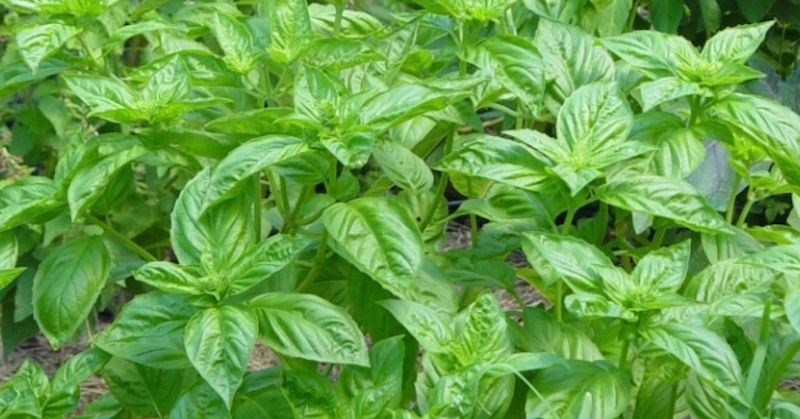 holy basil), is an herb that is known for having a variety of medicinal uses. It can be used for its antifungal, antibacterial, or antiseptic properties. Tulsi is also a good source for antioxidants. While these are positive reasons to include tulsi in your diet, a recent study shows that tulsi could be a powerful anti-cancer agent. Scientists have sequenced 61 percent of the tulsi herb’s genome and identified the secondary metabolites that have value for medicinal purposes. Over 40 beneficial secondary metabolites were found. 14 of these metabolites have been mapped and 8 of those have anti-cancer properties. The other six metabolites offer antifungal, antioxidant, and anti-inflammatory properties. Five different subtypes of the tulsi plant were examined as part of a study into the mapping of the tulsi genome. Two of these sub-types are domesticated varieties and were found to have the highest level of useful metabolites. One domesticated sub-type, Rama (with green leaves), had the greatest amount of healthy metabolites. With all five varieties studied, the leaves often contained the highest concentration of secondary metabolites. As the plant grows, the leaves retain their medicinal value. Now that the majority of the tulsi genome has been mapped, scientists can isolate the enzymes that are most beneficial for fighting cancer and engineer yeast for medicinal purposes. Without the gene mapping, this would not be as effective. Scientists will be able to mass produce yeast from tulsi plant enzymes. Tulsi functions as an adaptogen, which enhances the body’s natural response to physical and emotional stress. Adaptogenic herbs can help your body regulate and function optimally during times of stress. Tulsi contains active compounds which were found to have stress fighting capabilities in rats by normalizing cortisol, blood sugar, adrenal size, and creatine kinase (a marker of muscle damage). In another study performed on 35 individuals with generalized anxiety disorder, they found that there was a significant improvement in mood after 60 days when subjects were given 500 mg of tulsi, twice daily (5). Our immune system is also intricately linked to our ability to respond to stress. We have all had those winters where it seems like as soon as we’re over one cold, we’ve caught another one, or just can’t shake the first one—all too often because we’re burnt-out and running on empty. In a meta-analysis of over 300 articles researchers concluded that although acute forms of stress may have somewhat of a beneficial effect in the immune system, chronic stress had a negative impact on immune function. Tulsi can help boost your immune system, and reduce inflammation further adding to its all-star stress-busting resume. You can enjoy Tulsi in tea form with its smooth, sweet and slightly spiced flavor. Pour hot boiling water over the leaves and steep for 2-5 minutes. Sip and enjoy! If you are fortunate enough to have access to tulsi plant, then juicing tulsi leaves would be the best way to enjoy the abundance of vitamins, minerals and phytonutrients. 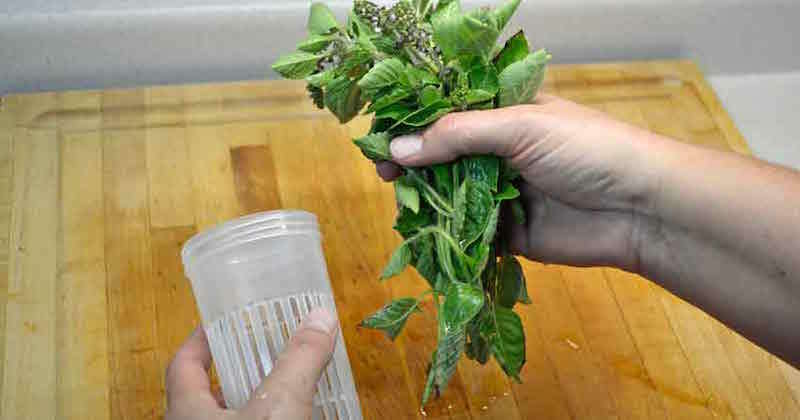 Tulsi and mint leaves are best to be extracted using a masticating juicer. You can easily add them into any of your daily juices. The above is suggested for taste. The tulsi plant has been used for medicinal purposes for many years. Scientists have always suspected that the herb had anti-cancer compounds, but now they have scientific proof. If you want an additional way to help fight cancer, include tulsi leaves in your daily green juices.